I danni del ciclone Idai, che ha colpito nei giorni scorsi le coste del Mozambico e che ha provocato morti e devastazioni anche in Zimbabwe e in Malawi, non sono ancora calcolabili. 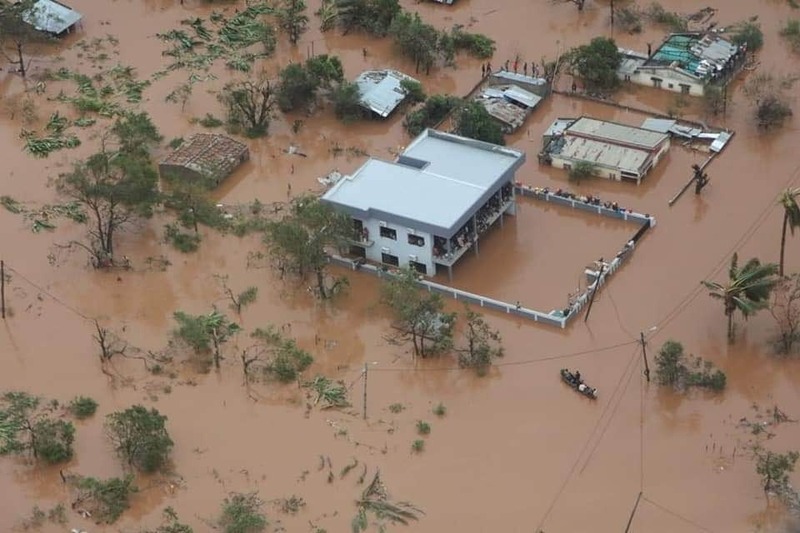 The damage done by Cyclone Idai, which struck the coasts of Mozambique in the last few days and which caused deaths and devastation also in Zimbabwe and Malawi, cannot be calculated. L'uragano è stato uno dei disastri ambientali più gravi avvenuti nell'emisfero meridionale. The hurricane was one of the most serious environmental disasters in the southern hemisphere. ASEM lavora dal 1990 nei territori colpiti: l’Associazione per i bambini del Mozambico aiuta attualmente oltre 6.000 beneficiari attraverso le sue attività quotidiane fornendo istruzione, formazione professionale, cibo, supporto medico, riabilitazione psicologica e morale. 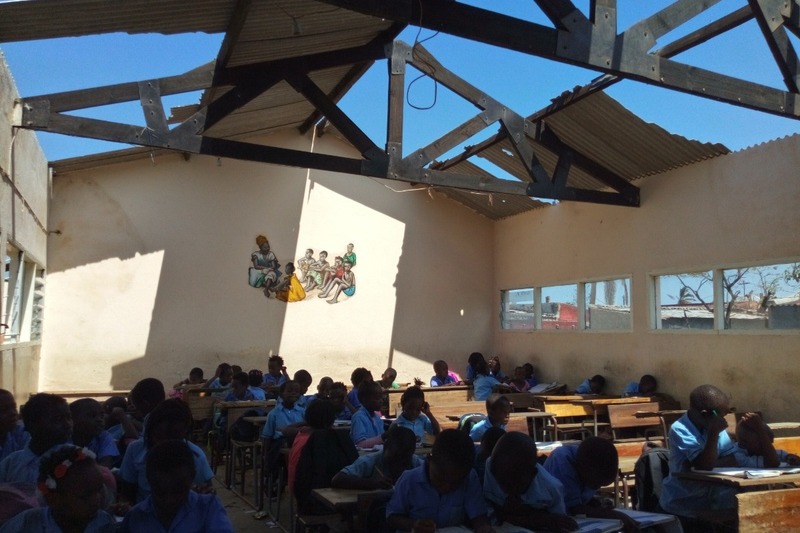 ASEM has been working in the affected areas since 1990: the Association for Children of Mozambique currently helps over 6,000 beneficiaries through its daily activities by providing education, vocational training, food, medical support, psychological and moral rehabilitation. La situazione è disastrosa, inimmaginabile, le nostre scuole e i nostri centri senza tetto ( http://www.barbarahofmann.org/macurungo-center.html), finestre e alcune porte sono volate via, alcune pareti cadute. Il 90% dei bambini ha perso quasi tutto. The situation is disastrous, unimaginable, our schools and our Centers ( http://www.barbarahofmann.org/macurungo-center.html), windows and some doors have flown away, some walls have fallen. 90% of the children have lost almost everything. La maggior parte degli alberi sono stati tagliati o sradicati dalla forza del vento (fino a 280 km / h), cadendo spesso sulle case, distruggendoli e provocando feriti e morti. Migliaia di famiglie sono temporaneamente ospitate in scuole, parenti o amici, la maggior parte di loro senza cibo e acqua potabile. 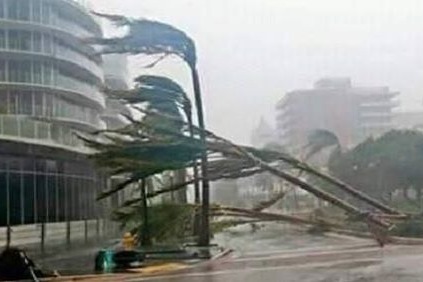 Most trees have been cut or uprooted by the force of the wind (up to 280 km / h), often falling on the houses, destroying them and causing injuries and deaths. Thousands of families are temporarily housed in schools, relatives or friends, most of them without food and drinking water. Malattie epidemiche come il colera stanno già colpendo molte persone. La malaria è in aumento, gli ospedali sono sovraccarichi. Mancanza di medicine. Epidemic diseases like cholera are already affecting many people. Malaria is on the rise, hospitals are overloaded. Lack of medicine. L'elettricità non è ancora disponibile. La maggior parte delle linee elettriche distrutte. La comunicazione (telefono) è tornata, ma funziona sporadicamente. Electricity is not yet available. Most power lines destroyed. Communication (telephone) is back, but it works sporadically. Per il momento stiamo aiutando i nostri beneficiari con cibo e acqua. Abbiamo bisogno di molto più cibo per aiutare. For the moment we are helping our beneficiaries with food and water. We need much more food to help. 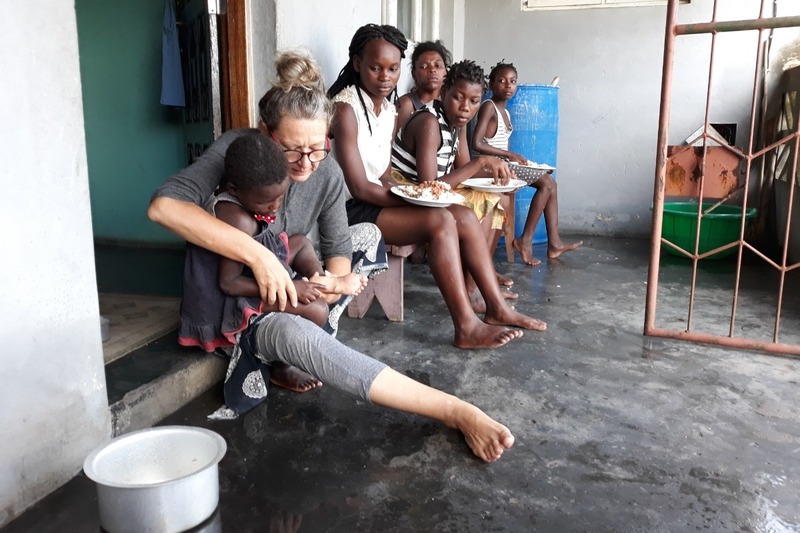 La campagna di raccolta fondi è stata creata da Barbara Hofmann fondatrice dell'associazione ASEM, denominata "Associazione en faveur de l'Enfance Mozambicaine". La raccolta è a favore di ASEM Italia Onlus. I fondi saranno prelevati da ASEM Italia Onlus (attraverso il Presidente Giovanni Poletti) e inviati al 100% ad ASEM in Mozambico: il denaro servirà per aiutare circa 6.000 beneficiari di cui si prende cura l’associazione. Saranno impiegati per acquistare cibo, acqua, vestiti, materiale scolastico e serviranno anche per la ricostruzione delle case e delle scuole distrutte. The fundraising campaign was created by Barbara Hofmann, founder of the ASEM (Association en faveur de l'Enfance Mozambicaine). The collection is in favor of ASEM Italia Onlus. 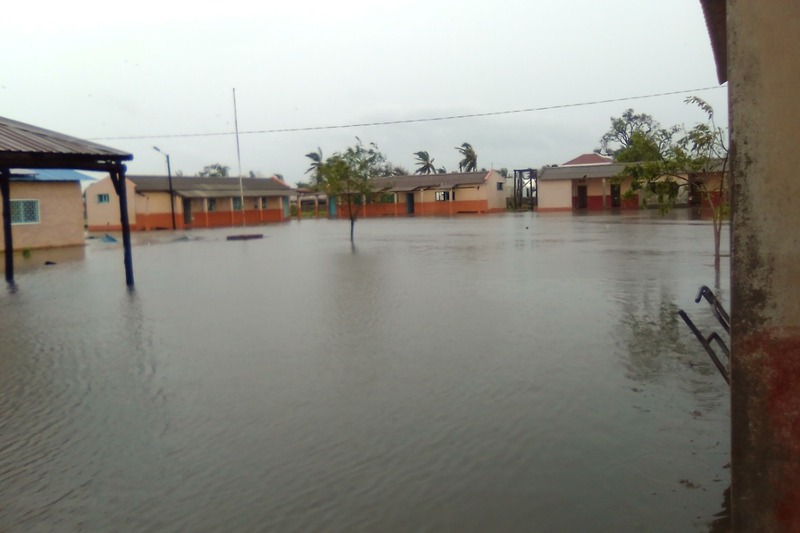 The funds will be taken from ASEM Italia Onlus (through the President Giovanni Poletti) and sent 100% to ASEM in Mozambique: the money will be used to help about 6,000 beneficiaries of ASEM. They will be employed to buy food, water, clothes, school supplies and will also be used for the reconstruction of destroyed houses and schools. Abbiamo bisogno del tuo aiuto con urgenza. April 14, 2019, it is one month that IDAI changed our lives. Lives to rebuild, wounds to cure, traumas to heal, cholera that kills and deaths to be buried. Communication and electricity are still a problem in Beira; unstable and in-existent from time to time. I imagine that by now the media hardly talk about it, but in the field, lives are suffering and struggling for survival. The number one problem is still hunger and drinking water. Tap water is infected. There is a product called "Certeza" to purify water, but for small bottles the price changed days ago from 35 MET (0.55 USD) to 60 MET (0.95 USD) and it is often difficult to find it at the market. Just to give an idea, 60 METs relate to a salary of 3 to 5 hours working for most people. "Certeza" is partially distributed free to a number of people. However, most of the population cannot afford it. The official aid coordination organization distributes a kit of 2 kg of rice, half a liter of oil, etc. to many families, what is enough for some meals. Much has been done but the need is still enormous. Most ASEM beneficiaries did not benefit from the official distribution program. 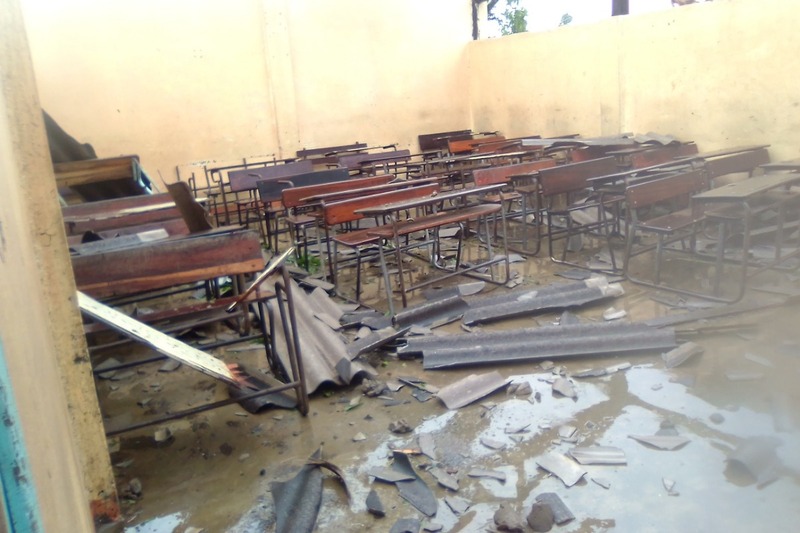 As requested by the Ministry of Education, the school started a week after IDAI hit Beira. 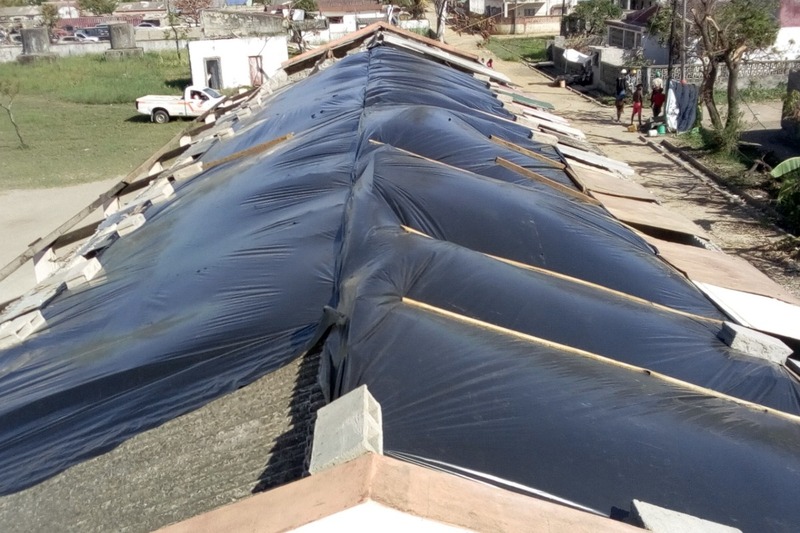 ASEM managed to cover part of the school's roofs with plastic and recovered material. The children are back at school. 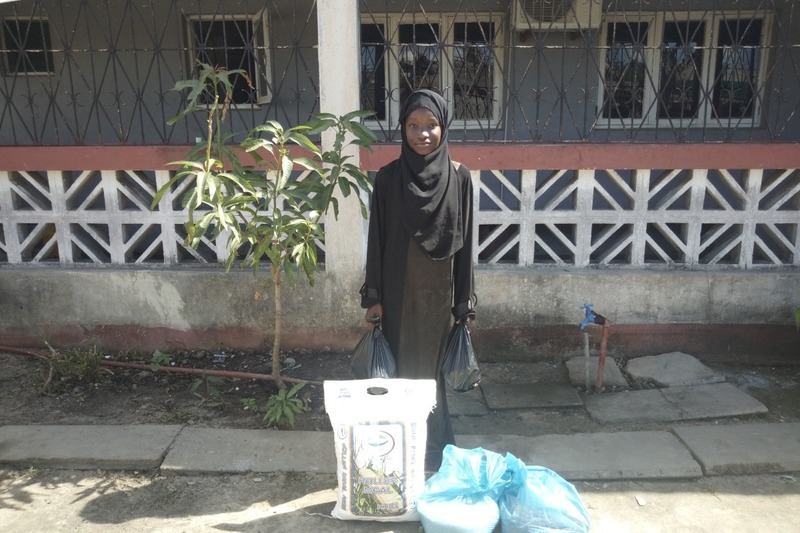 We have begun distributing a basic food and hygiene kit to our beneficiaries. 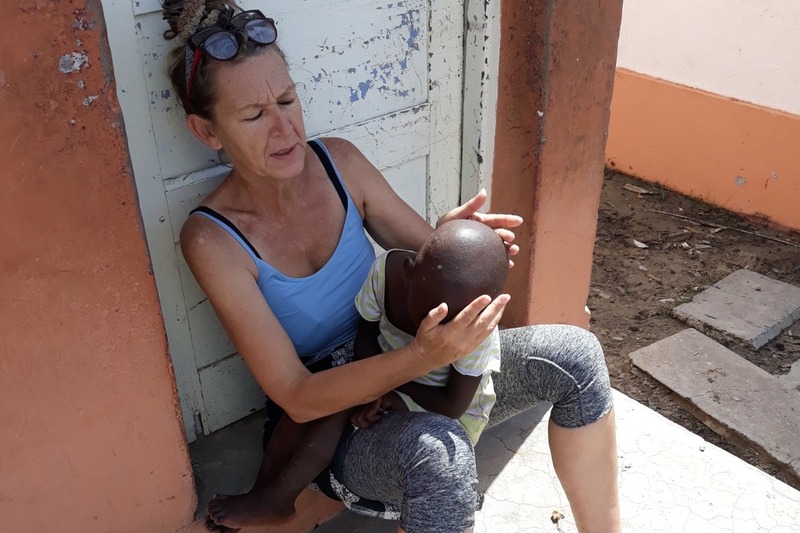 Our goal is to help the families of our beneficiaries to restart their "normal" life and proceed on their own, but there is still a long way to go. 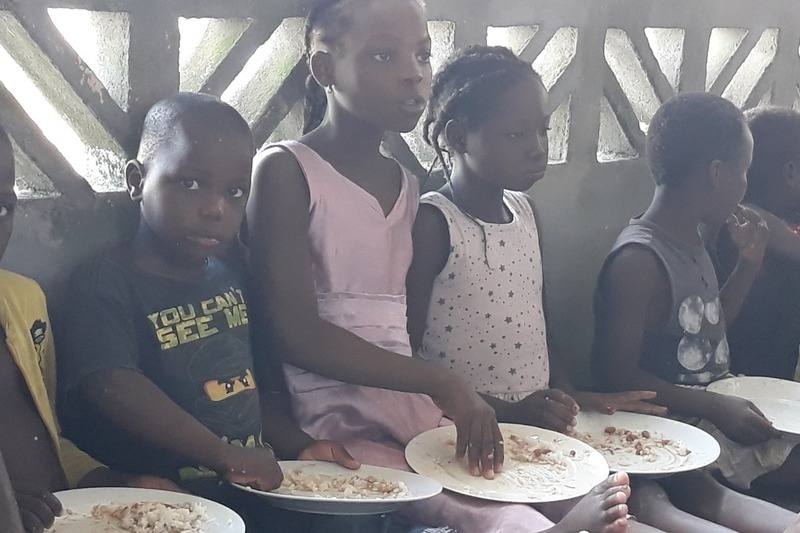 Next week we will have meetings with the community of our affected beneficiaries, to involve women in the school kitchen that will allow us to give our students a daily meal. We will keep you informed. 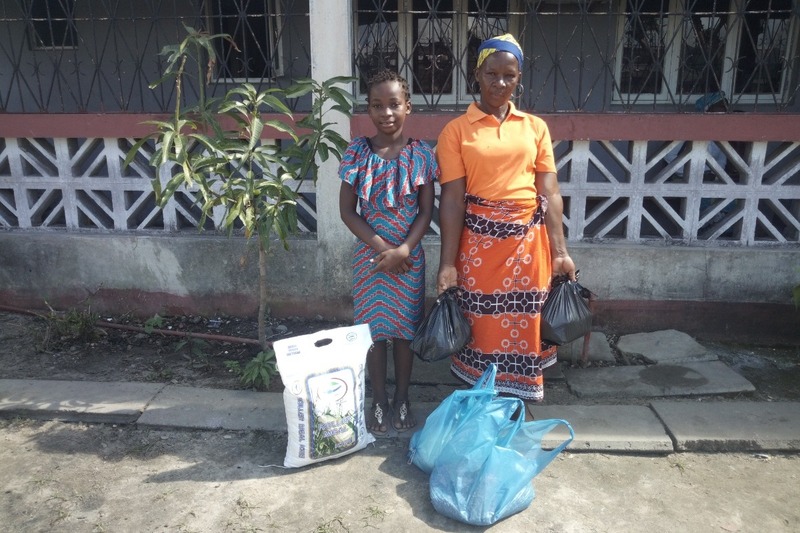 Thanks to many people who support ASEM, we can help our beneficiaries. However, many more people still need our support and despite the exhaustion and fatigue of our staff, ASEM is like a mother who never abandons her children. Please share and invite your community to help! Together we can create a better world for ourselves and for everyone. If you desire to receive our monthly Newsletter please let us know. La situazione è disastrosa, inimmaginabile, le nostre scuole e Centri senza tetto, finestre e alcune porte sono volate via, alcune pareti cadute. Migliaia dei nostri beneficiari hanno perso tutto incluso la casa. ASEM ospita molte famiglie nelle restanti condizioni. Oggi, dopo 10 giorni, è arrivata acqua potabile (acqua canalizzata), ma non tutti hanno accesso ad essa. L'elettricità non è ancora disponibile. La maggior parte delle linee elettriche distrutte. La comunicazione (telefono) è tornata, ma funziona sporadicamente. Internet con molte difficoltà o inesistenti. Molto difficile da ricaricare poiché non c'è energia disponibile. Per il momento stiamo aiutando i nostri beneficiari con cibo e acqua. È difficile trovare cibo (scarsamente - bagnato e con prezzi eccessivamente alti). Abbiamo bisogno di molto più cibo per aiutare. Il 90% delle persone ha perso quasi tutto e il nostro aiuto è solo un segno. Ma le persone non si disperano. In effetti, mostra la forza della resistenza, rassegnata ma allo stesso tempo quasi serene. Fino a qualche giorno fa, non avevamo notizie chiare e quindi non avevamo idea della gravità e dell'estensione della tragedia, tranne ciò che vedevamo intorno a noi. Si parla di un migliaio di vittime (morti) e di quasi 1 milione di persone colpite, il numero è in aumento ogni giorno. Oggi non ha piovuto per la prima volta e il sole ha permesso alle persone di asciugare i soli vestiti che indossano. PER FAVORE, diffondi la parola, condividi e AIUTA !! Sorry to give you a feedback only now. I was in Beira for the last 10 days, cut off from the world. No communication, internet, drinking water and so on. I managed to fly down to Maputo last night to be able to manage the situation from here and get – raise the needed help for our children and the needed families and staff. Will send you more detailed information soon about the last 2 weeks, but for now we need your help and assist the most needed without delay. The situation is disastrous, unimaginable, our schools and Centers without roof, windows and some doors are gone, some walls on the floor. 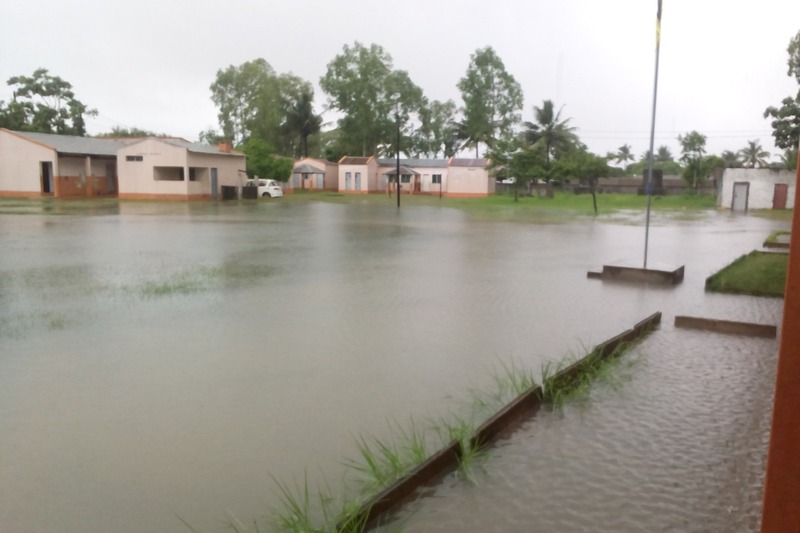 Thousands of our beneficiaries lost all their belongings and their home. 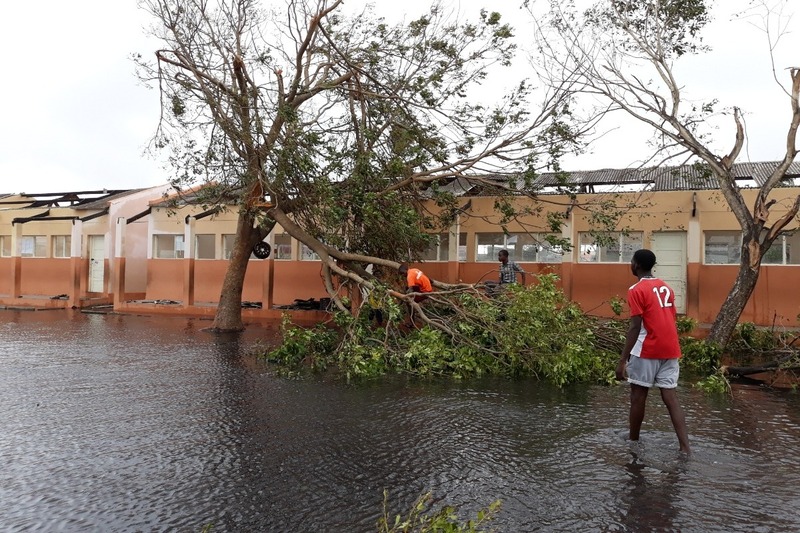 Most trees have been severed or uprooted by the force of the wind (up to 280km/h), often falling over homes, destroying them and causing dozens of injured people and deaths. 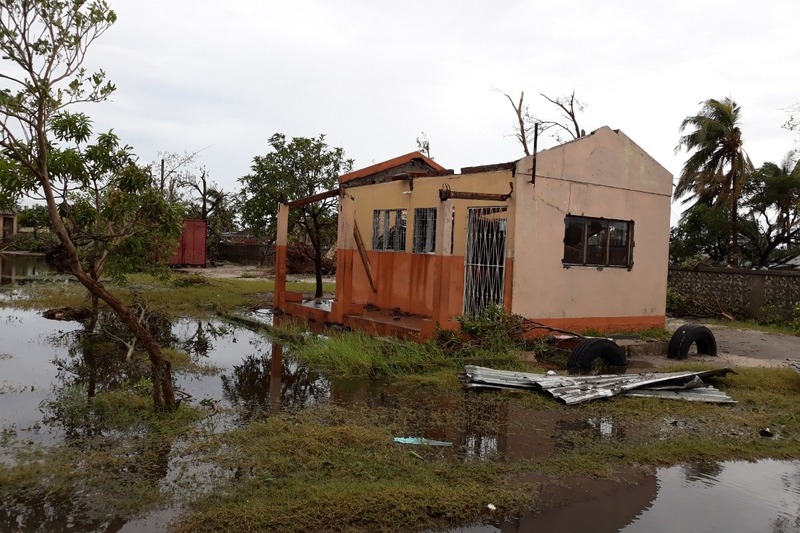 Thousands of families are temporarily housed in schools, relatives or friends, most of them with no food and drinking water. ASEM is housing many families in the remaining condition. Epidemic diseases like cholera is already affecting many people. Malaria is increasing, hospitals overloaded. Lack of medicines. Today, after 10 days, drinking water (canalized water) has arrived, but not everyone has access to it. Electricity still not available. Most of the power lines destroyed. Communication (phone) returned but working sporadically. Internet with a lot of difficulties or nonexistent. Very difficult to recharge the phones as no power available. For the moment we are helping especially our beneficiaries with some food and water. It is difficult to find food (scarce – wet, and with excessively high prices). We need much more food to help. 90% of people have lost almost everything and our help is just a sign. But people don't despair. Indeed, it shows a strength of endurance, resigned but at the same time almost serene. Until a few days ago, we had no clear news and therefore no idea of the gravity and extent of the tragedy, except of what we saw around us. There is talk of a thousand of victims (deaths), and nearly 1 million of affected people, the number is daily increasing. Today it didn't rain for the first time and the sun allowed people to dry the only clothes they are wearing. PLEASE spread the word, share and HELP!! ASEM - WE NEED YOU NOW!